Prospective Students - Come see us in person at the Debra Sparks Dance Works Studio! Thank you for your interest in the Debra Sparks Dance Works!!!! Participation in a dance program is a wonderful way to build self-esteem in a child and there is no better dance program in the Bucks County area than Debra Sparks Dance Works. The nurturing environment at DSDW builds skilled and confident performers and this confidence radiates into all other areas of your dancer's life. We have many classes for new students of any age. 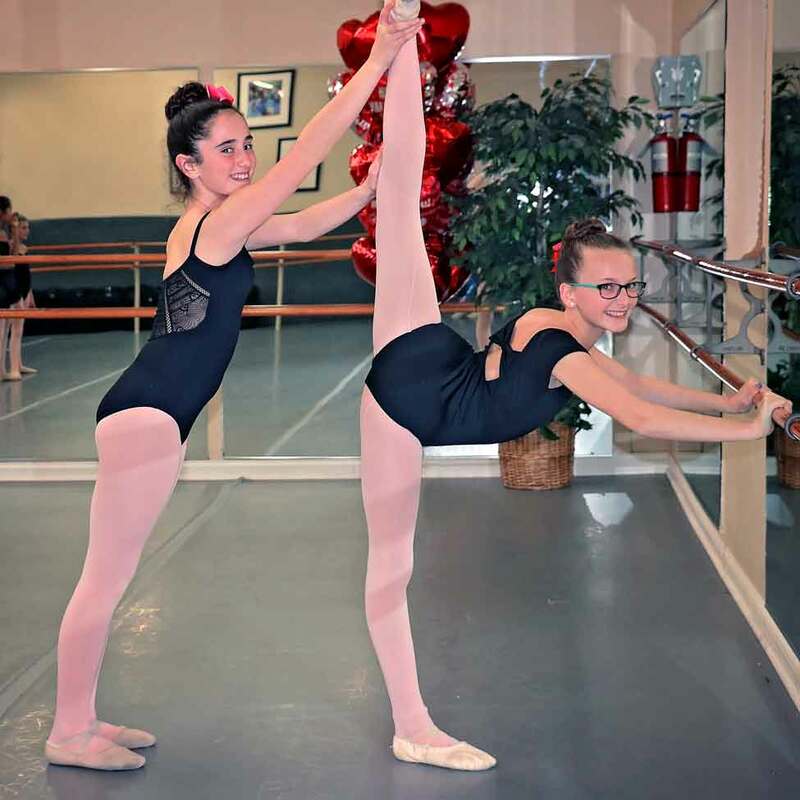 DSDW offers ballet, pointe, tap, jazz, lyrical, hip-hop and competitive dance classes. From beginner to pre-professional, our Bucks County dance studio holds classes 7 days a week, including summer intensive, competition, and performance camps. Take a look at our list of classes to see all that DSDW has to offer. Check out the rest of our website for a glimpse inside the studio. Our videos and photos showcase our wonderful students, but an even better way to find out about us is to stop by!! If you find a class of interest on the class list, please give us a call or notify the studio via email. Our administrator will confirm a trial date for the class you choose, and you can come and observe us in person. After this, you can have your child try or observe other age appropriate classes free of charge for the first week, thus allowing us to find that perfect fit for your schedule and your child's interest. Please contact us with any questions and/or to set up your appointment. We look forward to hearing from you!